On The Big Bang Theory Season 9 Episode 24 when his parents came to town, but was it an amicable divorce? 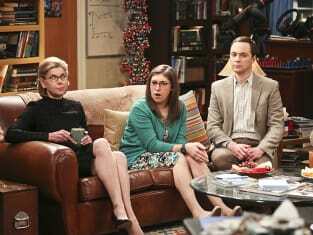 Things escalated when Sheldon’s mother popped up in town, but did she get on with Leonard’s parents? Meanwhile on this hilarious CBS series, Howard and Raj and are concerned when the government unexpectedly contacted them about their guidance system. Were they in some serious trouble? Use the video above to watch The Big Bang Theory online to get up to speed with the latest drama.